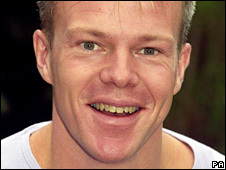 Televison presenter Mark Speight's death was suicide by hanging, a coroner has ruled. The 42-year-old was found in a remote area of Paddington railway station, in central London, last month. Westminster Coroner Paul Knapman also heard that a suicide note was found in his pocket. Mr Speight, who grew up in Wolverhampton, was said to have been "devastated" by the death of fiancee Natasha Collins earlier this year. She died at the couple's flat in St John's Wood, north London, after taking cocaine, sleeping tablets and alcohol in January. Mr Speight, who presented BBC art show SMart since 1995, was last seen alive on 7 April. The inquest heard that on that day he had attempted to visit a counsellor but a mix-up over dates meant she was not at home. Two police officers also spoke to him as he wandered around north-west London. They offered to help Mr Speight as he appeared "vacant" and deep in thought, but he told them he was okay. He was missing for six days before his body was found on 13 April. CCTV footage showed Mr Speight entering Paddington's Hilton hotel on 7 April. Det Insp Will Jordan said it was possible that Mr Speight used a fire exit on the sixth floor to access the roof area where he was found dead. Pathologist Dr Peter Wilkins said a post-mortem examination found no drugs or alcohol in Mr Speight's blood. He said it was "entirely possible" that the TV presenter had lain undiscovered for six days after hanging himself. Dr Knapman said Mr Speight could not face returning to the flat he had shared with Ms Collins. And further evidence he wished to take his own life had been found in his journal. Dr Knapman said: "What a tragedy. Clearly he was so devastated by the loss of Natasha Collins that at this time he could not contemplate life without her." After the inquest, Mr Speight's father Oliver said: "From the family's perspective I want you to realise how proud we are of Mark - his dignity and his honour are in place." He announced that a foundation would be set up in his son's name to nurture artistic talent among young people. "The real people that we feel for are the children out there, the grief of thousands and thousands of children," Oliver Speight said. "In the eyes of children's TV he was an icon and we are extremely proud of that and we will not let him down." He added: "Look to the future, not the past and let us remember this is not the end of Mark Speight it is the end of his beginning."